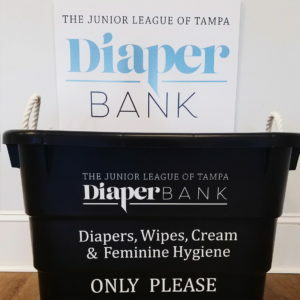 The Junior League of Tampa Diaper Bank serves to combat diaper need within Hillsborough County by supplying diapers to programs in our community. 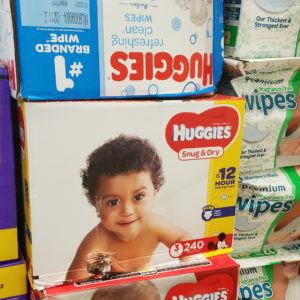 Diaper Need is the lack of a sufficient supply of diapers to keep a baby clean, dry and healthy. The Junior League of Tampa Diaper Bank does not distribute diapers directly to individuals or families. If you are an individual in need of diapers, please contact Champions for Children at 813.673.4646. 1 in 3 American families report experiencing diaper need. 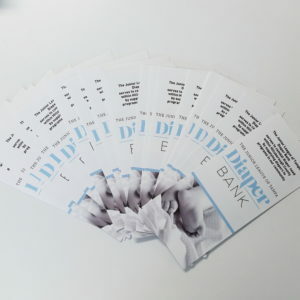 Thank you to The Hettinger Foundation for generously supporting The Junior League of Tampa Diaper Bank.